So long, Greenery… and hello, Ultra Violet! As we kick off the new year, it’s time to say “out with the old and in with new” color of the year, as selected by the renowned color gurus at Pantone. Every year they select the hue that reflects the mood of the design industry and our society at the time. As they stated upon it’s release, Ultra Violet is “a dramatically provocative and thoughtful purple shade… (it) communicates originality, ingenuity, and visionary thinking that points us toward the future.” We like the positivity! 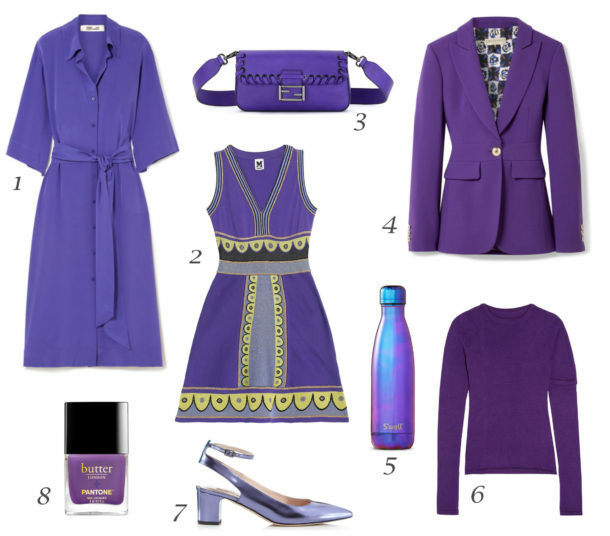 This cool-toned, blue-purple shade is pretty for work or play, and we especially like it paired with black, white, gray, silver, army green, gold and camel. We’ve curated a selection of a few of our fav Ultra Violet pieces that will quickly bring your look up-to-date for 2018.